Hello, Space Cadets! I wanted to take the time to tell you about a fantastic new show on the air called "Final Space," airing on TBS and available on platforms such as iTunes. First off, I have to nerd-correct a common misconception about this show. The few times I've spoken to people in the "real world" about the show, they either have one of two reactions - "I haven't heard of it" or "oh, Conan O'Brien's new cartoon!" As much as I love Conan, and I do - Conan's production company Conaco is involved with the show in so much that they took on the show for development, gave a lot of creative encouragement to mold the show into what it is, and helped to get it to TBS. Conan and his cohost Andy Richter have also done voiceover work for the show, but "Final Space" is actually the creation of Olan Rogers. playbill - who is olan rogers? Olan Rogers started his career as a content creator on YouTube close to a decade ago. Amassing millions of views and around the corner from 1 million subscribers, he was initially popular for his stories AKA comedy sketches in which he would tell one outlandish tale from his life at a time. GHOST IN THE STALLS, or the "it's a Monday" video, is his most popular video and made him a YouTube icon. But that wasn't enough. Olan ventured off into other branches of business, which also doubled as a means to show appreciation for and give his fans access to him. He has an apparel company called Space Cadet and a Nashville business called The Soda Parlor where you can, of course, partake in soft drinks, enjoy ice cream floats, and play video games in pure vintage fashion. ​Star Cadet also acts as a production company that helps to make this cartoon in question. 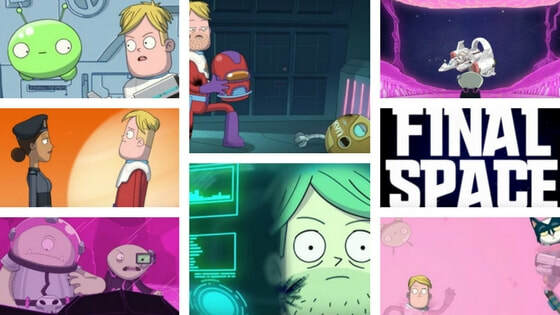 Bringing us to the main point of this blog - when did "Final Space" really begin? The first cartoon created and animated by Olan Rogers (yes, animated by Olan himself with the help of Dan Brown) premiered May 4, 2010. Three episodes of "Gary Space" were uploaded, but Olan admits that it was not the quality he desired, with the cartoon hibernating a while. You know what they say? Quality is not a race. 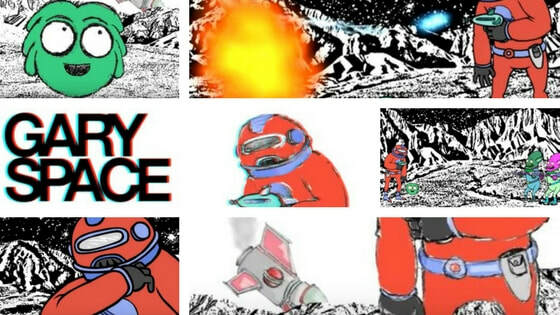 I also look at "Gary Space" like a storyboard to a concept that just took a long time to bring to life! Olan's voiceover for Gary is a goofy, Midwestern type accent. In the first video, he meets an alien lifeform named Mooncake, testing communication with it and offering it PEZ candy. An alien approaches offering help, but Gary blasts him away immediately. A good precursor to Gary's hapless, whacky behavior. The second episode improved greatly in quality, and we learn of Gary's odd fascination with cookies. The now famous quote from Mooncake "chookity" also appears in this episode (with "chookity dookie" meaning "move," apparently). Gary shoots another alien offering help and admits out loud he may have started a galactic incident. The "Final Space" plot we know now comes into play here. Gary gives a monologue as we see visuals of a ship laid to waste, saying that final space is either a source of power or the means of the universe's end. In this story, Gary is still a space explorer, but now we have the back story of him being an officer for a military entity called the Infinity Guard. We also are introduced to the artificial entity known as H.U.E. (Heuristic Unified Entity), Gary's sidekick Avocato (voiced by Coty Galloway), Gary's love interest Quinn, and the current version of Mooncake we know and love. Of course, we are also introduced to the villain Lord Commander and a robot named KVN - both being scourges of the universe for different reasons. The pilot is unique, introducing us to the concept of starting the episode with what looks to be a possible series/season finale. A temperal worm hole is Gary's goal to reach - his hope being to go back in time to try and prevent the deaths of his friends. The mystery, the music and the visuals of this pilot are stunning. Olan said when he made this pilot, he was given a budget and dumped all of that money into the concept - essentially betting it all on black. Olan only took a one dollar payment from producing it. The day the pilot went public, he received emails from Adult Swim, Lionsgate and Conaco. Olan's life would soon change. "Final Space" packs a punch with a very talented cast of voice actors. Olan once again voices Gary and Mooncake, while he fought for Coty to come back for the role of Avocato and succeeded. Other than Conan O'Brien and Andy Richter doing voice work, there are many other notable players. To list a few, there's David Tennant (Doctor Who & Jessica Jones), Ron Perlman (Hellboy & Sons of Anarchy), Fred Armisen (Portlandia & SNL), Steve Yeun (The Walking Dead & Mayhem), and Tika Sumpter (Ride Along & Gossip Girl). The visuals of the galaxy we are treated to in the show are legit photos of space, layered on top of each other to make the background more authentic. The show's original soundtrack from Shelby Merry and a talented team also at the reigns is noted as many fan's favorite part of the show. In contrast to Gary being a space officer in the first two versions of this show, he starts out the series by being arrested for impersonating an Infinity Guard pilot, which is how he first met Quinn to try and impress her - didn't go well, obviously. Gary meets Mooncake and Avocato, plus more new characters, while he is serving his prison sentence in space. The biggest stand-out change, other than Gary's shift in origin, is that Lord Commander in the series is far more evil than the pilot carnation. This is accomplished with a transformation in animation style for the character, coupled with the brilliant skills of Tennant. 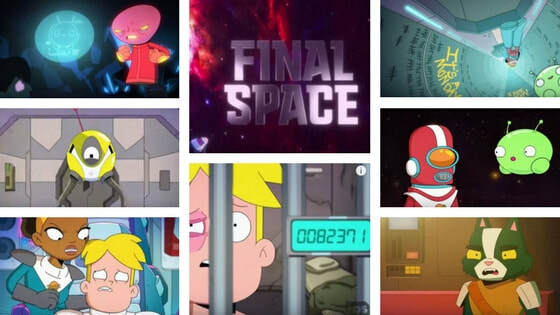 ​To watch the first episode of "Final Space" for free, courtesy of TBS, click here to check it out! Epilogue - Why i love "final space"
I'm a huge fan of "Star Wars" and have seen from his videos, and this series, that Olan draws creativity from this sci-fi franchise. What is also so cool about "Final Space" is that from concept to execution, it was the creation of a guy who is an openly weird, loud, silly, and creative dreamer. All qualities I myself have been admonished for, but attribute to my successes as a professional and a human being. Olan took an unconventional career path and that is inspiring. He always remembers the people who helped him get to the top and involves them in his success. And I mean, come on, Mooncake is adorable. I was lucky enough to meet Olan, Coty and Tika at Wondercon 2018 after winning free tickets to the convention. I got to finally meet Olan after years of being a fan, and two awesome talents behind this show I am obsessed with, and thank them for their part in it. It was also cool to see fellow fans at Wondercon also devoted to this TV show. To be part of a young fandom and watch it grow is exciting. ​So fellow readers, I hope you will join me and together, we can rule "Final Space"! One of my other fan hobbies was a Kesha fan podcast, then turned vlog. The show ran from October of 2013 and it ran from before the time period Kesha went to rehab, when she changed her name from Ke$ha to Kesha, and was a great way for fans to talk about their fandom. ​Due to just a lot of stuff going on, I ended the program as of September of 2017. I'm still a Kesha fan (and very proud of her recent success), but these archived programs will serve as a tribute to a time I was a much bigger, more involved fan. SDCC 2010 - Josh Gates and free Pinkberry. 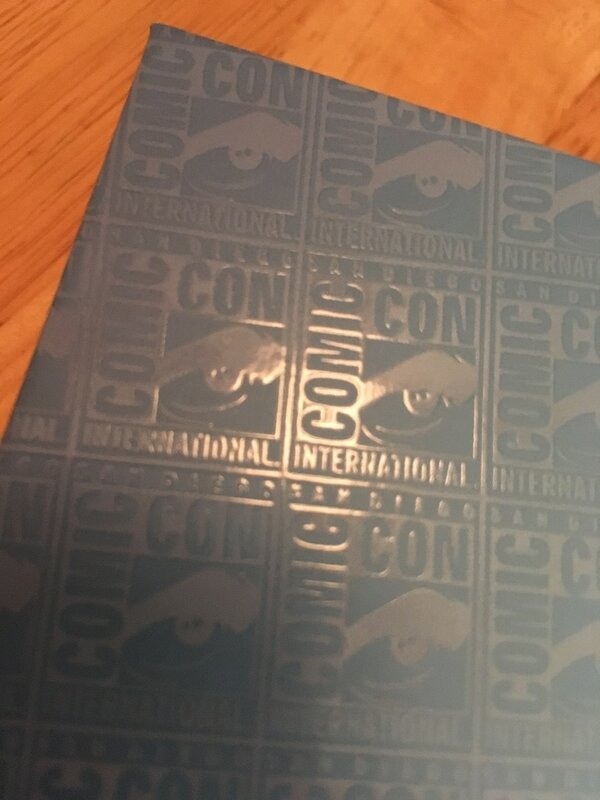 At my first SDCC, back when it was easier to get SDCC press passes, I arranged for a Josh Gates meet up, during the "Destination Truth" hey-day. Little did I know it would have surprise appearances! Amy and Kris from "Ghost Hunters" were there, as well as Rex from "DT," and Colin from "Eureka." Josh treated everyone to photos, autographs, and free Pinkberry yogurt. Though that Pinkberry is now a Starbucks, one thing from that meet up did last - I met the person who ended up being my husband there! Watch the video of the meet up here. This is the year I also got to meet Simon Pegg, Morgan Spurlock, the "Ghost Adventures" guys, and got to be filmed for the documentary "Episode IV: A Fan's Hope." What a great first SDCC. 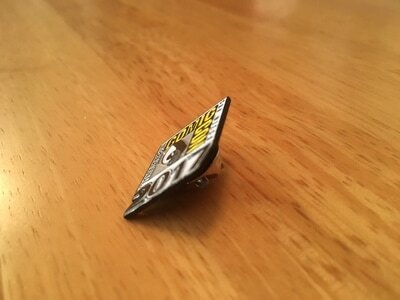 SDCC 2011 - Destination Truth Fan Meetup 2.0. The second meet up for "DT" fans had way more people and caused a lot of buzz. Erin Ryder came, as well as Brad Kuhlman, alongside Josh. Watch the video from this second meet up here. I also got to sit in a screen-used Delorean from "Back to the Future," met Dan Fogler, and had lunch with Josh and Jael de Pardo (she could not make the meet up previously mentioned). Fun times! 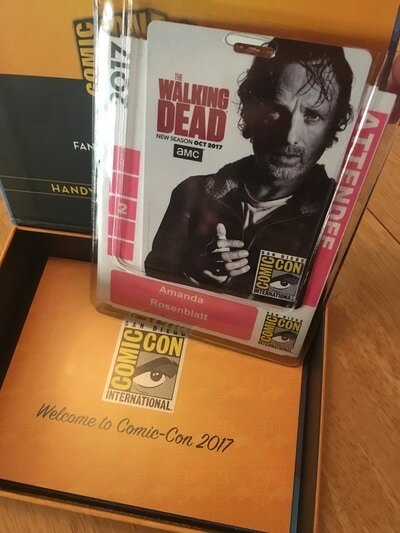 SDCC 2014 - Walking Dead BBQ. Getting into the exclusive Walking Dead BBQ event was crazy. It was limited to a very small number of people and I had to start waiting in line at 5 a.m. 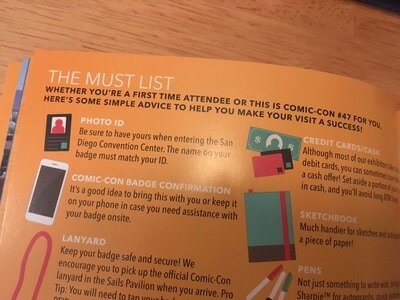 I did get a pass and ended up not only getting free food and booze, but meeting Andrew Lincoln, Danai Gurira, and more! The video is here. 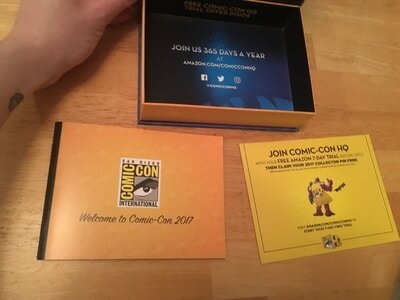 I did not have passes to the Con that year, but despite that fact, I got to take advantage of offsite events like that BBQ, got to meet Seth Green, and scored some fun swag. 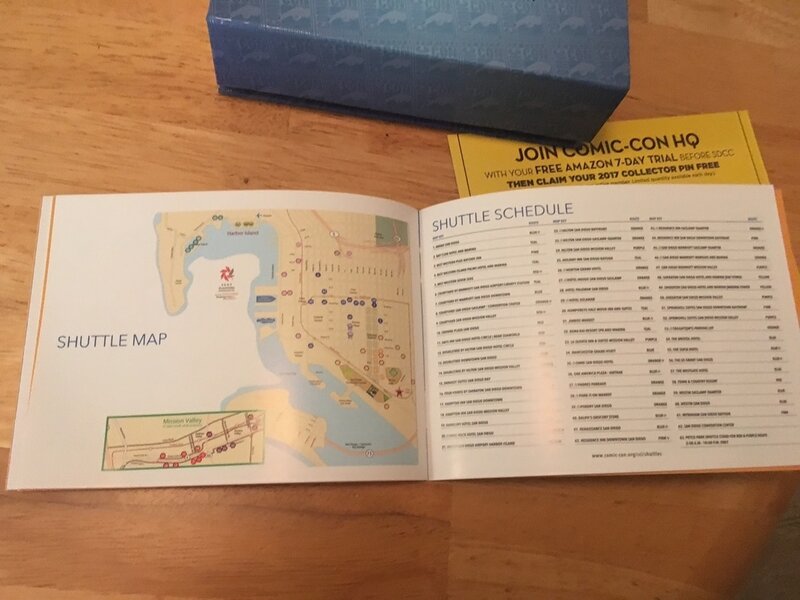 SDCC 2015 - Conan Con. 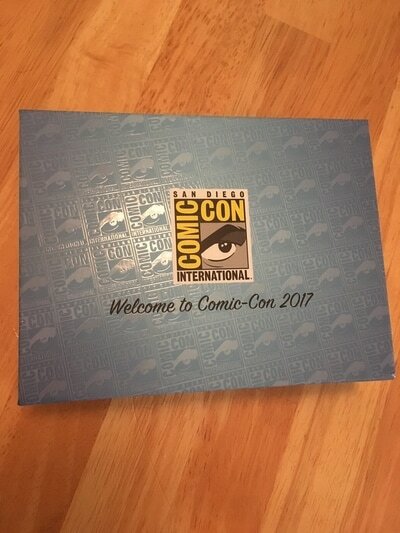 Another year of not getting SDCC tickets, but going to the "secret" Conan O'Brien Bingo event was great and unexpected. A stranger on Twitter saw I was upset I did not score any Conan tickets, said she had an extra ticket for Conan Bingo and I was invited to come as her guest. At the event, we were all treated to dinner, dessert, and an open bar. The event was adult, R Rated Bingo where Conan made an appearance, and the prizes were Conan related. During an intermission, I took part in a side game and won two TV show taping tickets. When they brought me up on stage to film me winning my tickets, I announced that I gave one to the girl who had invited me to the event initially. Later on in the event, they sought me out and said Conan heard about my gesture and was so touched by it, he wanted to give me more tickets for tomorrows taping. I got to attend the taping the next day, where I met Conan and Andy after the show. Here is a short video from the Bingo event, and here is the video from the taping and meeting Conan. SDCC 2016 - ​Getting engaged. Okay, so I didn't score any Conan tickets this year, but I finally got a SDCC pass this year AND I got engaged at the Walking Dead photo opp this year. 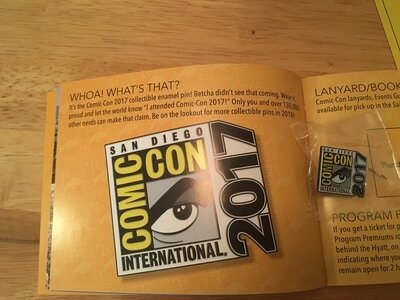 Considering we met at SDCC, it was a special moment. Watch the video here. I also got to meet Greg Nicotero on the street, saw my favorite band Blink182 that same weekend, and met Stan Lee! Great weekend. Wow. San Diego Comic Con really upped their game. 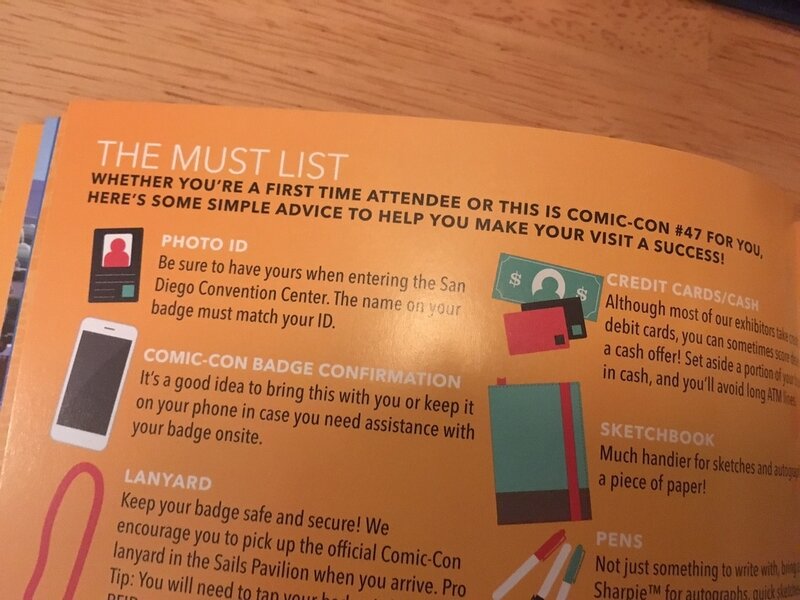 To give perspective, you used to pick up your SDCC passes inside of the San Diego Convention Center lobby at a setup of kiosks and desks, then you would wait to pick up your bags and key lanyards. The problem was that the process was a mess. Lines that would make annual Disney pass holders queasy. 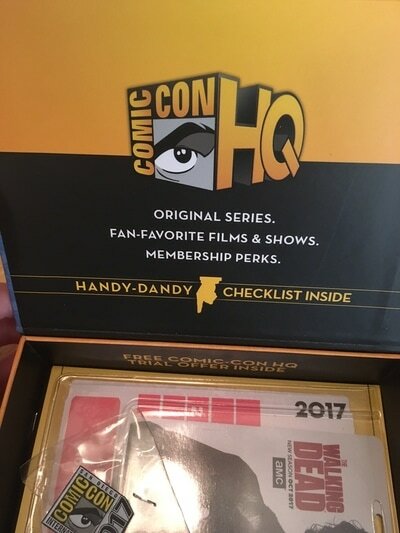 So as I was saying, last year when I was lucky enough to be able to get a pass for the first time in a while, we were purely mailed the pass, along with a plastic holder. 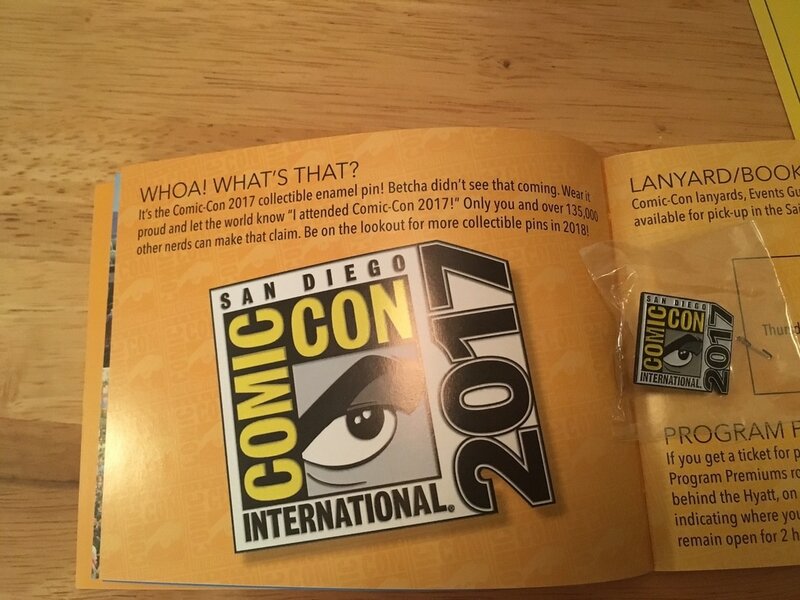 Pretty much no frills, but I can't speak too ill of SDCC 2016, since that was the setting in which I got engaged. Anyway, this year's SDCC package was very unexpected, in so much that it was a package. A box. Did I win a prize? Nope. Pretty cool. 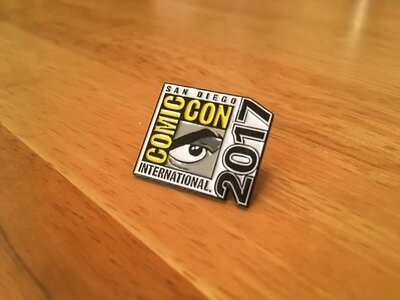 A little guide, a collector's pin, and an exclusive offer. 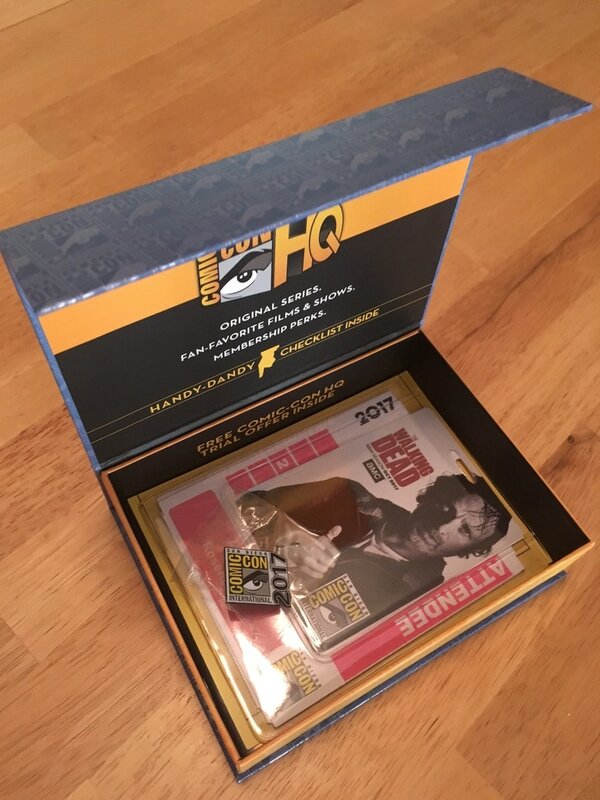 Looks like SDCC picked up a hint from box services like Lootcrate and Legion of Collectors (or Collectors Corps, if you're a Marvel fan). 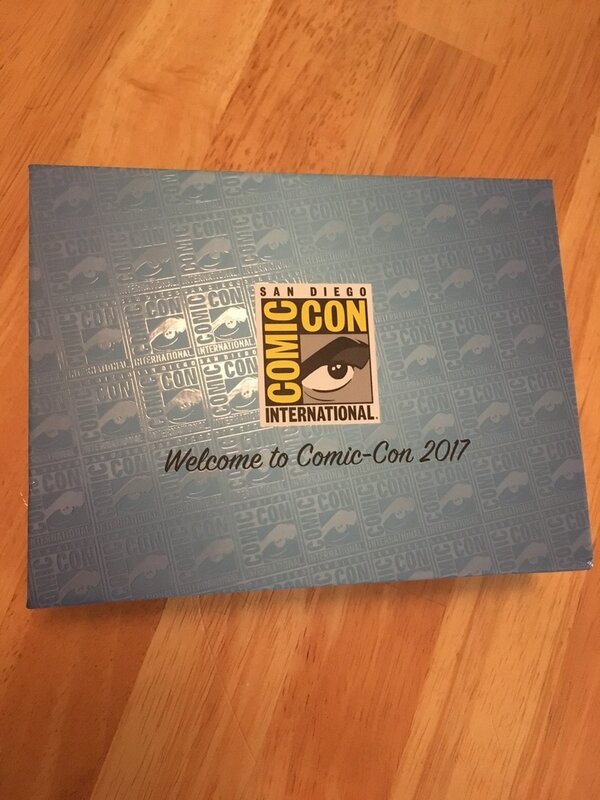 Be sure to stay tuned for my videos and photos from SDCC 2017! Content coming soon - an archive of Fan-Culture.org, originally established in 2012. 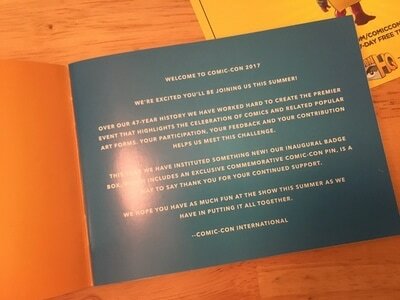 A place where people can access and even contribute fan content to a blog for the pop culture obsessed. Stay tuned! as always - as little ads as possible. Enjoy your visit! 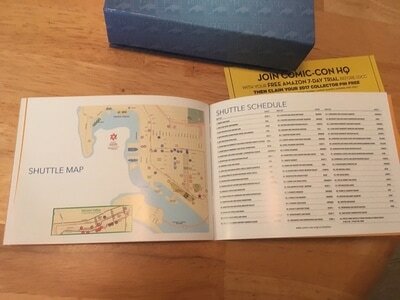 Amanda Rosenblatt has been running SingularityFanPages.com for close to 10 years and has been blogging on Fan-Culture.org since 2012. This is an archive of the blog & a new concept for the existing blog.